A founding member of one of the most influential English rock bands, Ritchie Blackmore is a member of the Rock and Roll Hall of Fame. His father got him his first guitar when he was eleven years old, and only on the condition and promise he'd learn how to play it properly. 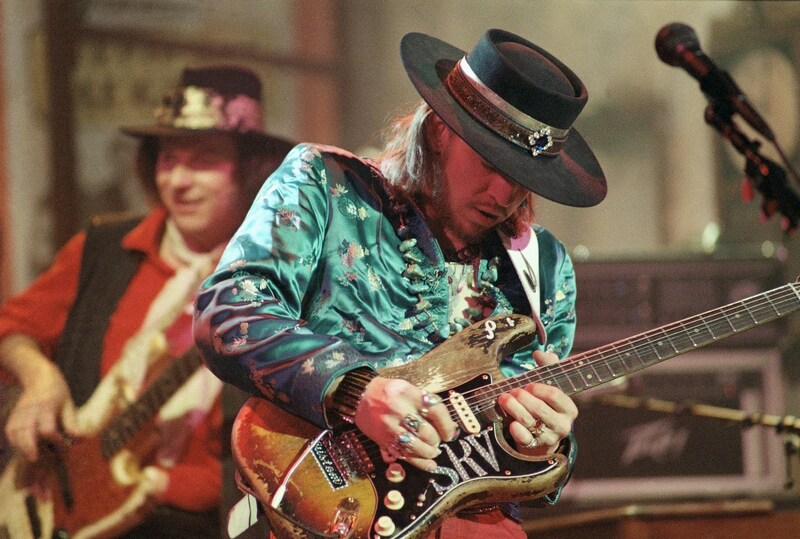 Ritchie can play quite properly in a number of wonderful styles. He took classical guitar lessons as a child, and later in life said it had been rammed down his throat. He'd then go on to say how much he loves classical music. As the guitarist for Deep Purple, and later, Rainbow, he'd incorporate classical guitar into British hard rock and metal. It's been said Ritchie Blackmore was the bridge between Jimi Hendrix and Eddie Van Halen. There were other bridges, but possibly Blackmore was the biggest. 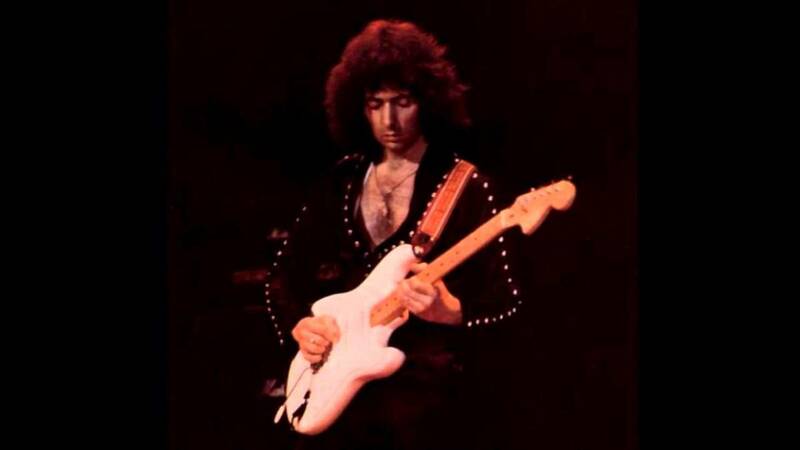 If Tony Iommi fathered heavy metal rhythm and riffing, then Ritchie Blackmore fathered neo-classical shredding. When I was a kid I absolutely loved to get my hands on a guitar magazine. I didn't know what anyone was talking about half the time, but I loved it all just the same.Today, I'm friends on Facebook with some of the staff of the major ones. I first learned of Yngwie from either Guitar Player, or Guitar World. I spent lots of my chore money on cassette tapes, and so as soon as I could, I simply had to own something by this Swedish phenomenon I'd been reading about. I bought 'Rising Force' and 'Trilogy,' and of course I was completely amazed that someone could play that many notes per second on a guitar. I was already familiar with EVH and Randy Rhoads. Malmsteen was a completely different sound and style from either of those other two greats. He's always had a very European take on his metal music, and I certainly appreciate it all. Time went on and persons like me were horrified upon hearing Yngwie had had a horrible car accident. I was thrilled when he came out of a week long coma. Malmsteen rocks on. He influenced a whole generation of persons who wanted to achieve his level of technique, and if possible, also mix in some EVH. 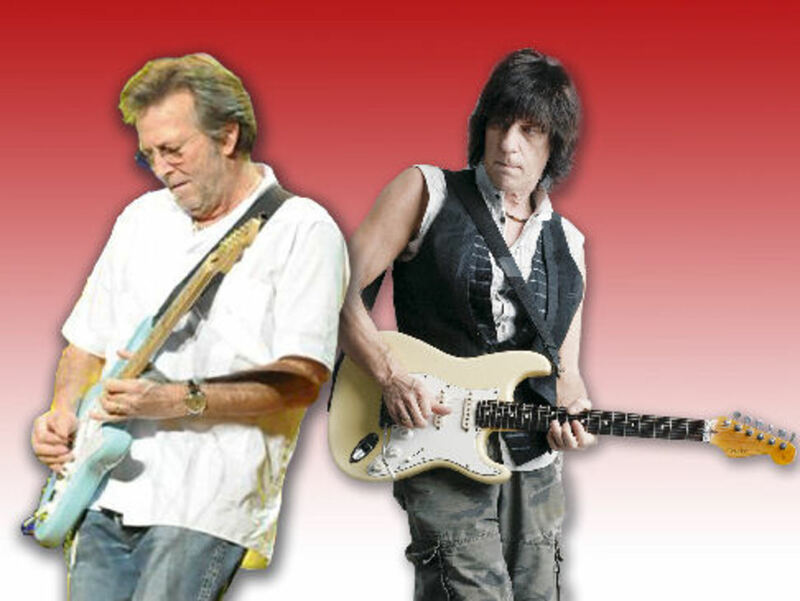 Along with Eric Clapton, Yngwie was one of the very first persons Fender honored with a artist series Stratocaster. Our purposes here are to take a closer look at the Fender Artist Series Stratocaster guitars of both Ritchie Blackmore, and Yngwie Malmsteen. Most Stratocaster guitars look very much the same. You often have to pick one up and plug it in to find the differences. That could be the case here from a cursory glance. When you pick this guitar up and hold it in your hands you will notice straight away several things different. 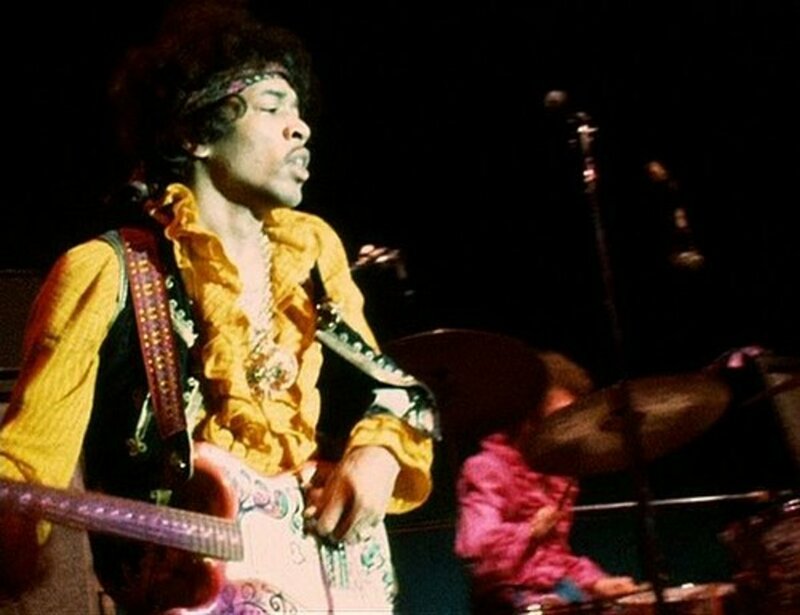 The neck is fatter than normal, for this neck is the Fender 'U' profile. Most Strats have one or another variety of 'C' profile neck.That one is comfortable with the neck of a guitar is vastly important. The neck profile here is just the beginning of the differences, however. 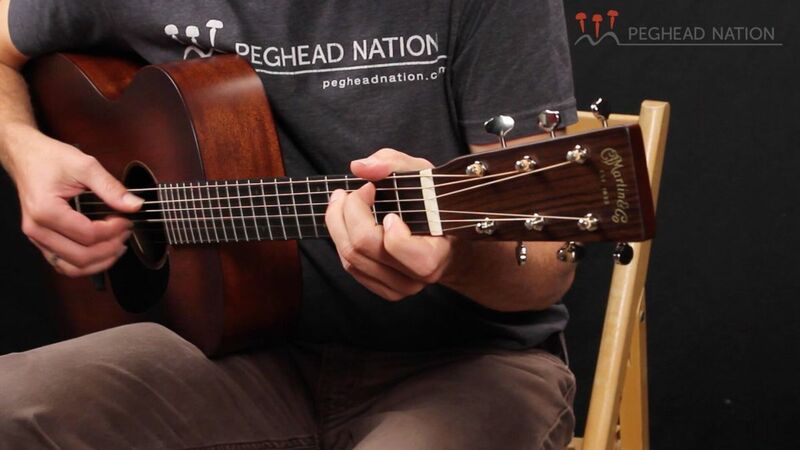 Our rosewood fretboard is scalloped. What does that mean? 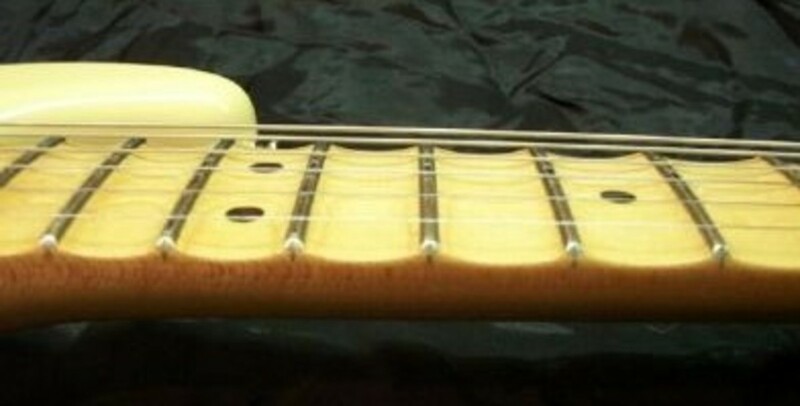 The fingerboard between the metal frets, at every instance, is concave, and this increases clearance and reduces friction between fingers and fretboard making bends and lead techniques quicker and easier. Scalloped fingerboards are not for everyone. If you consider that both Ritchie and Yngwie use them, and use them for such stupendous soloing, you recognize for sure what scalloping the fretboard is all about. It is also something which takes a lot of work to create. So the feature adds to the price of an instrument. Most will notice the larger Fender Strat style headstock. This was a feature of the CBS era, but the large head-stocks have maintained a following. The fingerboard radius is also a very old school 7.25". The nut is a cut above being of synthetic bone. The pickups here are made by Seymour Duncan. It's one of the most reputable brands of pickups around. There are only two of them. Oh you see three? Nah, that thing in the middle is a dummy. Seriously, that is not a pickup in the middle. There only being two pups changes the switching situation. The blade switch is a 3-way in the instance of this guitar. The middle position blends the two pickups. 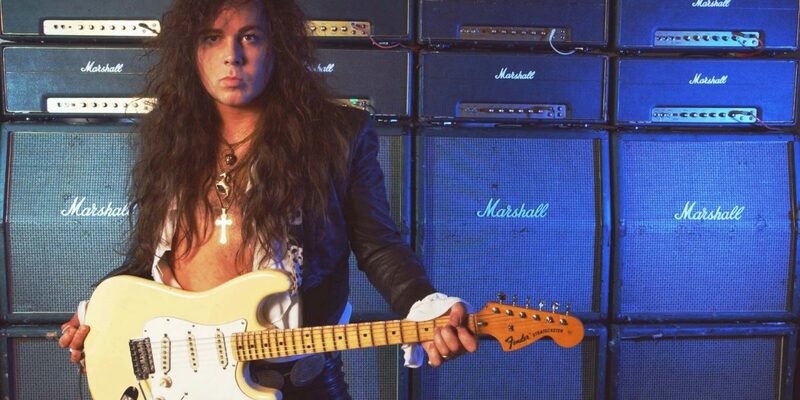 Yngwie Malmsteen famously prefers both the large head-stock and the scalloped fingerboard too. Malmsteen has said he believes the larger head-stock gives the guitar a bit more sustain. With the Malmsteen guitars, you do get a choice as to whether you want a rosewood or maple fingerboard. The neck of the Malmsteen Strat will feel different. Yngwie's guitars have the modern 'C' profile. He's also got the large super jumbo frets rather than the vintage style fret wire. The fingerboard radius is a more common and more modern Fender 9.5". Malmsteen prefers nuts machined from brass, such is evident here. Again with the Malmsteen Strat we have Seymour Duncan pickups. This time we do have three pickups, and these are designed specifically for Yngwie J. Malmsteen. They are famously known as the 'fury' models. Our pickup selector switch is again a 3-way instead of 5. There are no pickup blending positions to select. You are either on one of the three pickups with your switch, or you're not playing the guitar at all. For the most part the issue with these guitars is entirely the necks and fingerboards. Scalloped fingerboards are not the most common things. They exist so one can use a much lighter touch with their fretboard hand and fingers. These fingerboards exist to facilitate single note lead playing, and that playing being very fast with the tempos. 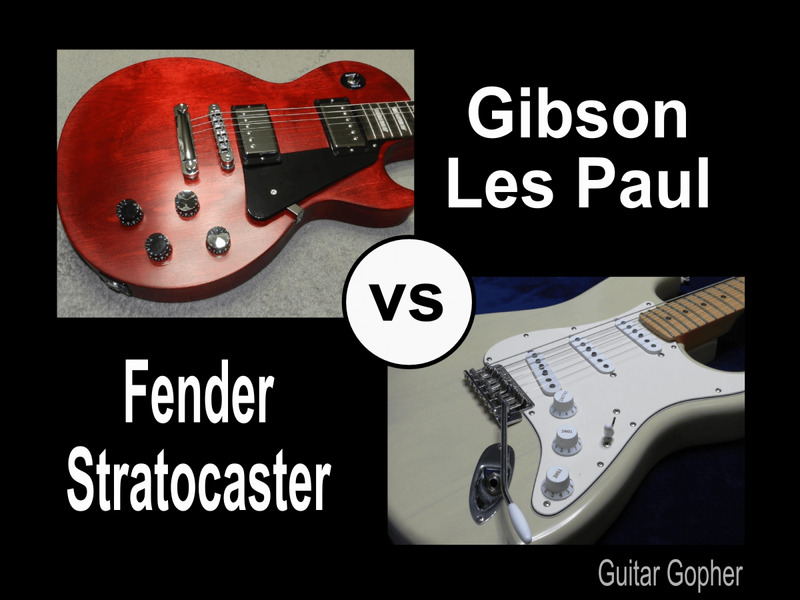 There are persons who can play every bit as fast as Blackmore and Malmsteen, and who do not use scalloped fingerboards. 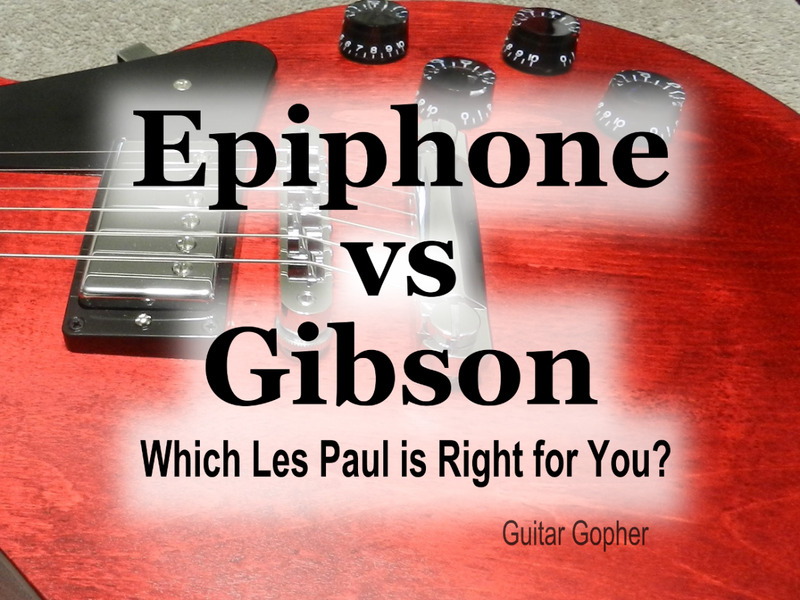 So as with most other things in guitars, it comes down to a matter of taste and personal preference. The fingerboards are not just scalloped, but curved. The curvature of the fingerboard is represented numerically by the fingerboard radius. A smaller number represents more curvature, and so the Blackmore 7.25" fingerboard is more curved than the Malmsteen's more standard 9.5". The more curvature on a fingerboard is thought to facilitate chording and rhythm playing. Flatter boards are thought to provide more ease for single note playing. But ask yourself if Blackmore has trouble with leads, or if Malmsteen ever had trouble with rhythm. Yes, those are exceptional players, but the point is it will come down to taste. The further differences which are important have to do with the neck profiles. The Blackmore 'U' profile is a fatter neck than the Malmsteen modern 'C' profile. Are your hands bigger than normal? It would seem the Blackmore guitar would fit best with a player with bigger hands. Looking past the extremely important details of the necks and fingerboards, what matters? Price always matters, and the Malmsteen guitar, because it is made in the USA, is significantly more expensive. As a very long running production guitar, one could likely find nice ones used. In a new one, it cost close to five hundred bucks more, comes with a case, and has three pickups instead of just two. Are you a pure tonehound? Both guitars feature Seymour Duncan pickups. They are different models, but you will really have to get nitty and gritty to hear the difference between them. These are both tremendous Strats representing astounding players. My advice is listen to your wallet and your neck hands. Thanks for reading.